A stunning THREE DOUBLE bedroom split level flat which benefits from BIG WINDOWS and HIGH CEILINGS. 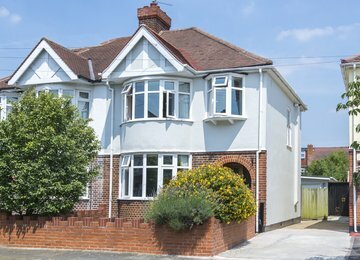 The property is located on a quiet residential road, just a stone’s throw away from Wimbledon Chase station. Chestnut Road is located just moments from the shops, restaurants and amenities of Raynes Park and Wimbledon Town. Raynes Park and Wimbledon Chase rail stations (national rail) are the closest offering great access into and out of London.